It has not been a completely disastrous history of squad numbers for Jermain Defoe, but it has not exactly been great either. 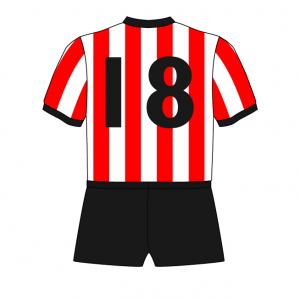 It has been almost 15 years since the veteran last donned an orthodox striker’s number having been heavily reliant on his favoured number 18 for the majority of his career, but that has just changed. In the current transfer window, Defoe has linked up with former England teammate Steven Gerrard at Rangers and he has rolled back the years to pull on number 9. As the striker enters his twilight, we take a look back at his career in numbers. 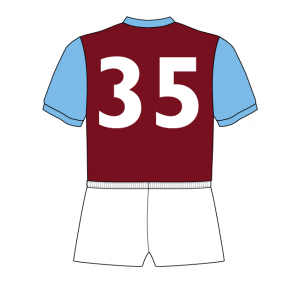 Defoe made his professional debut for the Hammers wearing number 35 in a league cup match against Walsall in September 2000, scoring the only goal in 1-0 win. Shortly after, he was loaned out to Bournemouth for the rest of the season, where he was assigned number 27. 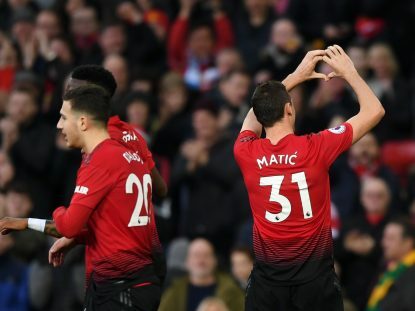 The less said about that the better from a personal point of view, but his rampant goalscoring form for the the Cherries (18 goals in 29 league games) garnered huge praise from West Ham boss Harry Redknapp. 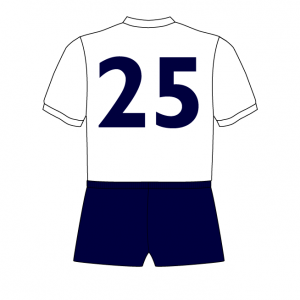 On his return, Defoe was re-assigned number 25 shirt and he continued to flourish, finishing the 2001-02 season as the team’s top scorer in all competitions. 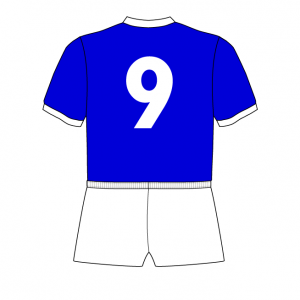 The following season, Defoe moved up in the squad numbers hierarchy and was bestowed with the number 9 shirt, the first and only time before now that he had worn a number between 1 and 11. The shirt had been empty for the entirety of 2001-02, following the departure of Davor Suker. The 9 seemed to have a negative effect, however, and although Defoe’s goalscoring form dipped that season, it wasn’t enough to deter Tottenham Hotspur from luring him to White Hart Lane. With the traditional strikers’ numbers already occupied by Frederic Kanoute (9) and Robbie Keane (10), Defoe was assigned 18, memorably worn previously by Jurgen Klinsmann. Big sleeves to fill. Defoe hit the ground running, scoring seven Premier League goals in 15 appearances at the back-end of the 2003-4 season and finishing the 2004-05 campaign as the club’s top scorer with 22 goals. It seemed the German’s pedigree had rubbed off onto Defoe, who stuck with number 18 shirt until his departure to Portsmouth in January 2008. In his first stint at Spurs, the striker racked up 64 goals in his 177 appearances and was also part of the squad that won the 2007-08 league cup, although he missed the final, having already left the club. During his time at Spurs, Defoe also became an established member of the England national team but missed out on a spot in the 2006 World Cup squad. It was a brief but memorable spell on the south coast for Defoe and a season of firsts as he switched things up and wore number 14. 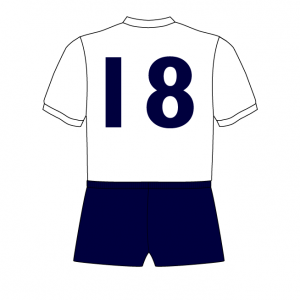 Arnold Muvemba held the number 18 shirt. Harry Redknapp’s decision to sign the England man was an instant success as he returned eight goals in 12 Premier League games catapulting Pompey to an eighth-place finish. Portsmouth also went onto win the FA Cup that year, beating Cardiff City in the final after eliminating Manchester United along the way. However, Defoe played no part, due to being cup-tied. The rejuvenated trophy cabinet and stock of talented players was not enough to keep him at the club, however, and he returned to Spurs in January 2009. When new Spurs manager Harry Redknapp was in need of a new striker, he looked no further than Defoe and signed the striker for the second time in as many years. 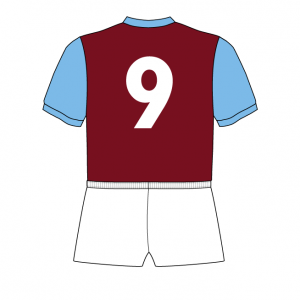 With his previous number 18 occupied by Fraizer Campbell and number 9 worn by fellow new recruit Roman Pavlyuchenko, Defoe sought the sanctuary and familiarity of 25, the number he wore in his first full season at West Ham. He scored four goals during the remainder of the season before switching back to 18 in the summer following Campbell’s loan expiry. The move back to 18 produced the most lucrative goal scoring form of his career, scoring 18 Premier League goals, statistics that might catch the eye of the superstitious, and 24 in all competitions as Spurs finished fourth and qualified for the Champions League. Defoe’s excellent season was followed by a dip in club form with just nine goals, but he did earn a place in Fabio Capello’s England squad for the 2010 World Cup. 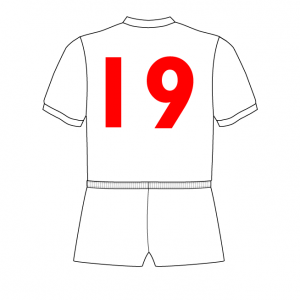 He wore the number 19 shirt with 18 occupied by Jamie Carragher and scored his first and only goal at a major international competition in a 1-0 win over Slovenia in the group stages. 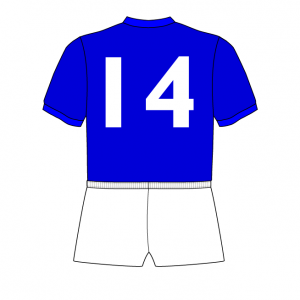 Incidentally, why he wore 9 or 10 in most of his England starts – and a multitude of higher numbers as a sub – he wore the number 11 for his country on four occasions. Three further seasons at Spurs yielded 42 goals bringing his combined total to 143 goals in 363 appearances earning him a place in the club’s record books ad their sixth highest goal scorer of all-time. 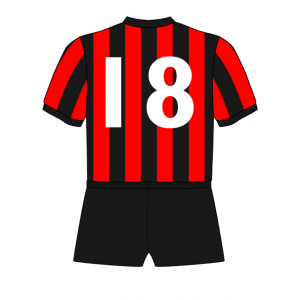 When I left the club, he said he wanted the number 18 shirt and I said, ‘Take it – if I’m going to give it to anyone, I’ll give it to you because you are a natural goalscorer’. Another January transfer move for Defoe, this time to follow in the footsteps of former Premier League greats David Beckham and Thierry Henry and join the MLS. Naturally, he opted for 18 and although the number brought him great reward in front of goal, notching 12 goals in 21 outings, Defoe soon sought an exit route from Canada. That’s right you guessed it, another January, another transfer and another Premier League club. Unconvincingly citing injuries as his main reason for a move back to England, Defoe landed in Sunderland with Jozy Altidore heading the other way only to find that number 18 was agonisingly unavailable. This will annoy you – the shirt had been assigned to Charalampos Havrias, a Greek footballer signed from Panathanaikos a year earlier but loaned back to them at the time of Defoe’s arrival. 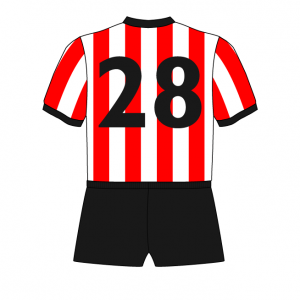 That meant number 28 for Defoe. Four league goals proved that 28 wasn’t a good fit and a swift return to number 18 followed, bringing back with it some of Defoe’s best Premier League form to date. Back-to-back 15-goal league hauls earned him a recall to the England squad but couldn’t prevent Sunderland’s relegation and an end to his time with the Black Cats. In June 2017, Defoe joined AFC Bournemouth, 16 years after his successful loan there. 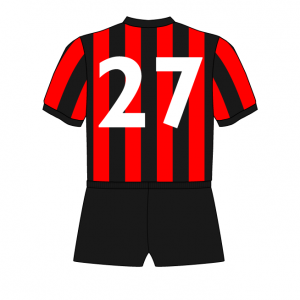 Thankfully, the number 27 he had previously worn in the 2000-01 season was held by goalkeeper Asmir Begovic and, while Lewis Cook had 18, he switched to 16 to allow Defoe to wear his favoured digits (thanks to Ed Stopps for this information). A lack of goals restricted him to mainly substitute appearances, a theme which continued into the 2018-19 season and ultimately led to Defoe’s move to Scotland. In January 2019, Defoe joined Steven Gerrard’s Rangers on loan, where he was unable to take number 18 due it being held by Jordan Rossiter. 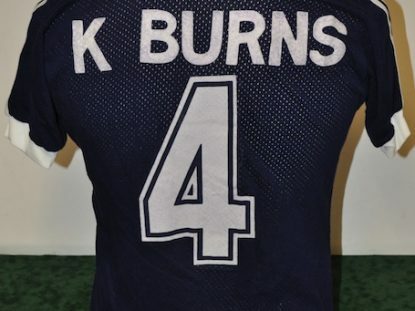 Instead of opting for the available 25, the new Ibrox man will wear 9 and a conventional striker’s number for only the second time in his career. It had been worn by Umar Sadiq in the first half of the season but his loan from Roma was cancelled in December after just four appearances. There slower pace of Scottish football might well be suited to Defoe at this stage of his career but, having worn 18 for the vast majority of his time in professional football, it remains to be seen how the single-digit life will treat him. 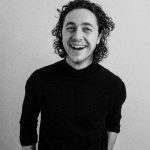 Journalist covering men's and women's football.